A lot of people ask me that on a daily basis, and there is a common reaction when they hear that I do a solo travel through Africa – they are shocked. In today’s world, the opinion of the media dominates our own. A fact can be stated in many ways, so that the media has the total power to put it in the words they feel like. Many people tell me Africa is dangerous, don’t go there people will steal all your stuff, animals will eat you during the night, and so on. There are many myths about Africa that are stuck in people’s mind. 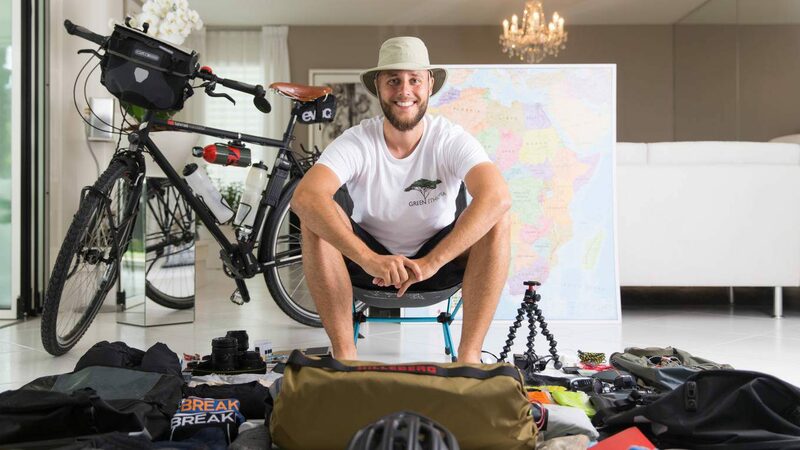 There is a good article to read on the following webpage written by a couple that cycled more than 40’000 km through Africa. Lukas, aren’t you scared? No I am not, seriously I don’t even know what to expect from my trip, as well as the people who ask me they don’t know that either. I personally think the right word would be that I have huge respect for what might expect me. The Idea for this trip came from my friend Jens Riis. Jens lived and studied with me in Taiwan and while drinking some “after study” beers, I told him about my travel plans during my gap year. Jens then asked me why I don’t cycle through Africa, a guy from his school did Denmark to South Africa in 4 months. This is how it all started and the rest will be history. I have not been to Africa yet, there are so many myths about this continent, it is extremely diverse, and it is so unknown to me that all of it together provides an opportunity for a great adventure. I am young, healthy and in a good shape, so why not taking a bicycle instead of a motorcycle. I have time and the physical condition to do it, so I guess it will be the best and most suitable way of transportation for my trip.